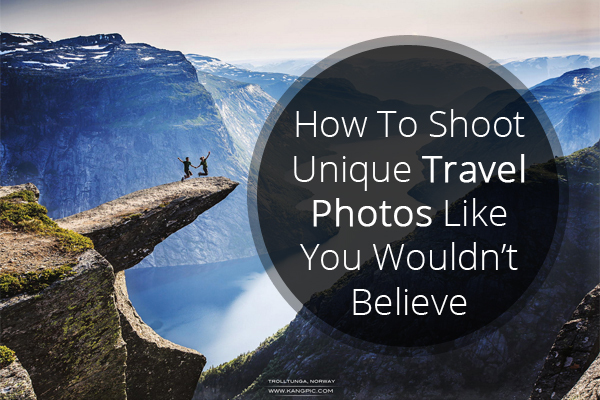 In our world of digital photography, it’s tough to take one-of-a-kind travel photos. 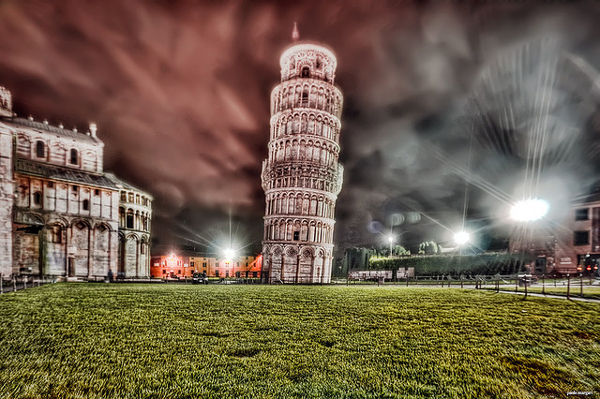 For example, let’s say you’re visiting the Leaning Tower of Pisa in Tuscany, Italy. 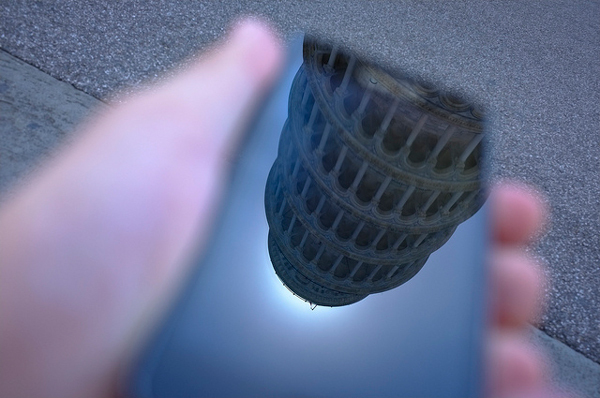 With your camera around your neck, you stroll into the Piazza dei Miracoli and are struck by the strange bell tower’s architectural beauty. But you also notice the crowds of tourists snapping pictures like the paparazzi at a red carpet event. Many of them contorting themselves in weird ways, pretending to push down or hold up the tower, as a friend crouches to take the photo. As a photographer, who’s always looking for those unappreciated moments of beauty, I’ve developed a process that might be helpful for you. When I’m finished, I’d also like to invite you to share your own tip in the comments below. I know, I know… I sound like your mom giving you some annoying obvious dating advice. But it’s true. 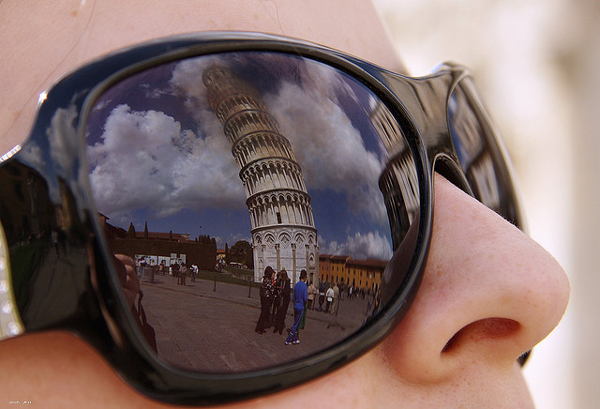 This simple shift in your mindset could open you up to the countless, unique photographs all around us, even at popular tourist attractions such as the Leaning Tower of Pisa. Don’t focus on finding a photograph that’s different; just go find something that you love to look at. What about the Tower fascinates you? 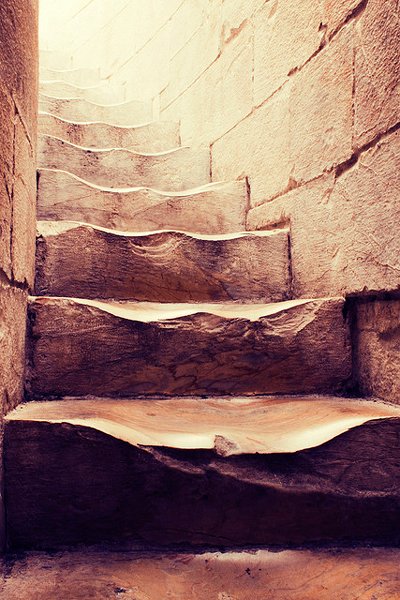 But to find what moves you, then you may have to do things differently. 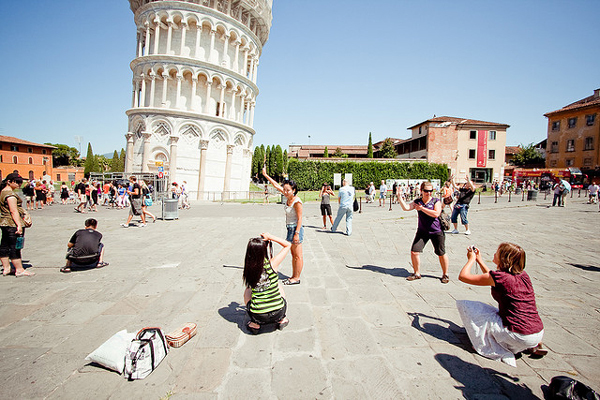 You won’t be able to quickly hop off of a tour bus, stroll up to the Tower and take a masterpiece photo. You’ll need to take your time. Pro photographers scout locations for days, sometimes weeks, because they realize that it takes time to take a great photo, and every day the scene is a little different. The light changes, the people change and even the structures change. The only way you’ll notice these subtle differences is by investing time in getting to know the place. In a way, you are developing a relationship with it, like you would get to know a new friend. Over time, maybe you’ll even fall in love or get annoyed, or it even could make you angry; but whatever happens, it’ll be your own experience and will influence the photos you take. 3. What Whispers To Your Eye? Sometimes beauty is so dramatic it knocks you over the head and screams at you, “Yo, I’m gorgeous, and you better photograph me, like this…” However, some of the best photographs I’ve taken were quietly pointed out by my eye. I had to listen closely for subtle feelings of attraction and honor them by following where they led me. This reminds me of a talk by famed director Stephen Spielberg as he encourages you to find your dream by listening to the whispers. Sometimes a dream almost whispers. And I’ve always said to my kids: the hardest thing to listen to — your instincts, your human personal intuition — always whispers; it never shouts. Very hard to hear. So you have to, every day of your lives, be ready to hear what whispers in your ear. Move closer: How close can you get to the subject? Is there a macro shot you could take? Could you immerse yourself in an experience no one else will have? Move farther away: Is there another building nearby from which you could watch the entire scene? Get low: If you were a mouse, how would things look? Get high: What would a bird’s eye view of the scene look like? 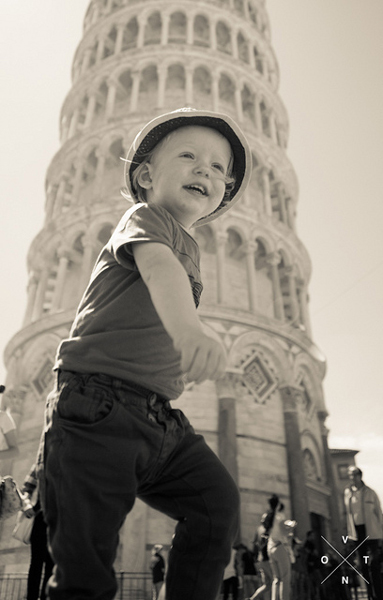 Behind the scenes: What’s it like to be a security guard at the Leaning Tower of Pisa? Or a tour guide? Or the guy who mops all 296 steps? The people: What about the cute kids laughing? The crowds of tourists all making funny gestures? That old couple walking hand in hand silently? Did you know that scientists at MIT built a camera that can photograph a ray of light as it moves? This camera can capture a trillion frames per second and will open up countless opportunities for looking at our world in a new way. It’s called femto photography, and it’s just one of many innovative cameras being created these days. Not to mention the countless apps, software, lenses and editing techniques you can find online. What tools, hacks or gear can you use to make a signature photo? Maybe you need to be a little unorthodox in your methods. Banksy, the graffiti artist, had his work “featured” in the Louvre way before he was selling art for millions of dollars. Of course, to pull this off, he had to wear a disguise, carry in his work under a trench coat and glue it to the wall himself. But it worked, and if he hadn’t tried this unconventional approach, maybe his work wouldn’t have the worldwide exposure it currently has. Don’t get yourself arrested, of course. And please don’t fall of a cliff or damage a sacred relic, so we can’t appreciate it when we visit. But if you have to hop a fence, poke your nose in a restricted area or sweet-talk a security guard… well, you wouldn’t be the first artist to take risks for your work, and you won’t be the last. Maybe you’ll even find something that everyone else is missing and can share it with us in a photograph. How about you? What’s helped you take signature travel photographs? Please add your voice to Photodoto and maybe help another budding photographer like yourself. If you have a tip, please add it to the comments below. Even if it’s just a sentence or two, we’d love to hear from you.